It would probably surprise most Liberal Democrat members and supporters in the UK to learn that the party is the largest Liberal party in Europe, in terms of the percentage vote received in national elections. Because of the first-past-the post electoral system in Britain, however, the party’s strength in the Westminster parliament is only half what it should be and it hasn’t been in government since the War. By comparison, most of the contintental Liberal Parties are quite small, but often have considerable influence. Indeed, six European Prime Ministers are Liberals (from Andorra, Denmark, Estonia, Finland, Latvia and Romania). Other Ministers are legion. It is all the stranger, therefore, that while several present or former Prime Ministers and numerous Ministers from continental Liberal parties have been present at the ELDR Congress in Stockholm, as well as a couple of European Commissioners, during the past two days, the large British contingent is light on parliamentary eåpresentation. Simon Hughes, MP, the Party President, is here for the day today, and he should be congratulated for the seriousness with which he personally has taken the Liberal Democrats’ international links, including with Liberal International. But there is no other Westminster MP here, and only two out of the eleven British members of the European Parliament (Andrew Duff and Sharon Bowles, though Graham Watson, the Leader of the ALDE Liberal group in the European Parliament did send a video message). This is all the more shocking given that this Congress is fashioning the manifesto for the 2009 Euro-elections. The unfortunate message going out to sister patries here is that despite their Euro-credentials, the LibDems don’t take Europe seriously and consider relations with ‘foreigners’ of secondary importance. Denmark to Join the Euro? As a result of the financial crisis, Denmark might decide to join the Eurozone, according to the Danish Prime Minister Anders Fogh Rasmussen. Speaking at a press conference at the ELDR Congress in Stockholm this afternoon, Mr Rasmussen said that Danes were now realising both the economic and political cost of staying out. The Danish crown is closely linked to the euro, but not being a member of the single currency area means that the Danish government has no direct say in related policy. Moreover, Danish interest rates are now two per cent higher than in the Eurozone, which is really hitting private and commercial borrowers. The government intends to instigate a new referendum on Eurozone membership during its time in office, and Mr Rasmussen believes this time the ‘yes’ side would win. The leaders of the two Swedish Liberal Parties — Maud Olofsson of the Centre Party and Jan Bjorklund of Folkpartiet, who are co-hosting the ELDR Congress — said that the situation in Sweden is a little less clear, though recent opinion polls here suggest that the majority against joining the euro is now very small. But Mr Bjorklund replied to a question of mine that three out of the four parties in the current Swedish government would campaign in favour of euro-membership if a refrendum were held hypothetically next month. And what about the other stay-out, Britain, with its sinking pound, I wonder? Two Russian opposition political parties, Yabloko and the People’s Democratic Union (PDU), were accorded full membership of the European Liberal Democrat and Reform Party (ELDR) at a meeting of the ELDR’s governing Council in Stockholm this morning. Yabloko has had affiliate membership of ELDR for the past two years, so its upgrade was something of a formality, whereas the move to grant the PDU immediate, full membership was a little more controversial. The case for approval was made by the former Russian Prime Minister, Mikhail Kasyanov, who has had a damascene conversion since he was part of the Kremlin set-up. He was highly critical of the Russian government’s provocation of Georgia earlier this year and the force of the Russian response to the Georgian actions in South Ossetia. There will be a full debate on relations between Europe and Russia at the ELDR Congress (in which Yabloko’s President, Sergey Mitrokhin, is expected to participate) also in Stockholm, tomorrow. The ELDR Council also granted full membership to the Serbian Liberal Democratic Party, whose leader, Cedomir Jovanovic, received tributes from counterparts in other parts of the Balkans (including Kossovo) for bravely championing liberal values and human rights in Serbia. Yes but, no but, Gordon, really! Gordon Brown has waded into the controversy over Jonathan Ross’s and Russell Brand’s tasteless ‘joke’ phone calls on BBC Radio 2. Is this really a matter the Prime Minister should be concerning himself with, especially at a time like this, when not only the British economy but also the global financial system is going through a storm? I think not. Of course, the Leader of the Opposition, David Cameron, has thrown in his tuppence worth as well. The prank was indeed reprehensible and both the two overpaid ‘stars’ concerned and the BBC producer who let the item be broadcast deserve a serious reprimand. But that is not the job of the Prime Minister, who should stay well out of such matters. Personally, I found the whole affair disgusting, but this is something that should have gone to appropriate watchdogs, not 10 Downing Street, which should steer well clear of broadcasting and Press regulation. In the meantime, of course, Messrs Ross and Brand and their respective agents will be laughing all the way to the bank. The Syrian Foreign Minister, Walid al-Muallem, has been visiting London, which made yesterday’s US helicopter assault on an alleged senior al-Qaida operative inside Syria unfortunately timed for Britain’s and Europe’s efforts to bring Syria in from the diplomatic cold. Mr al-Muallem and his British counterpart, David Miliband, were due to hold a joint press conference following their talks, but this was cancelled, as our Foreign Secretary repotedly did not wish to answer questions about the US attack. I bet he didn’t. Meanwhile, the Syrians — who say the fatalities were all local civilians — are screaming justifiably but impotently and both Iran and Russia have joined in the condemnation of what Mr al-Muallem described as Washington’s ‘cowboy politics’. The British government is keeping schtum. That is inevitably being interpreted across the Middle East as tacit approval for what the Americans have done. One would have thought that during the twilight weeks of the Bush presisidency, the Bush Doctrine would have been quietly laid to rest. But not a bit of it. Pre-emptive strikes and raids into sovereign territory — recently in Pakistan too — continue, with apparently not a care about ‘collateral damage’. The families of the deceased are naturally grieving. But the wider Islamic world is angry. And David Miliband’s silence looks miserably like complicity. The temperature has plunged, the days have suddenly got shorter. Autumn has arrived. For us political activists that means the season of local party AGMs. For the next few weeks around London there is at least one every weekday evening and even some on Saturdays. Officers are duly elected, financial reports noted and a visiting speaker brought in to enthuse the political footsoldiers. Last evening, I played that role at the first of several such engagements in my diary, on this occasion in Ealing. I made a point that I will be repeating elsewhere: namely, that we must learn from Mao Zedong (not a natural Liberal Democrat, but, hey, no-one is perfect) that we should ‘walk on two legs’. In other words, to maximise the effect of the Euro-campaign, we need to motivate activists with the twin aims of making that extra push in London to win the second seat we missed by a whisker in 2004, while at the same time making advances towards local goals — in Ealing’s case, boosting Jon Ball’s chances to win the redefined Westminster parliamentary seat of Ealing Central and Acton, and developing the ground in target wards for the 2010 London local elections. Speak to Hamas and the Taliban! The winner of this year’s Nobel Peace Prize, former Finnish President Martti Ahtisaari, has slammed the United States and Europe for failing to make any headway on peace in the Middle East and has called for an end to the boycott of talking to Hamas. In an interview with Sveriges (Swedish) Radio, he said it was a disgrace that the conflict has not yet been resolved and he accused the West of a lack of political will. I believe he is absolutely right that it is grotesque to believe that a two-state solution involving a viable Palestinian state and a secure Israel can be achieved without talking to the party which won the last Palestinian parlaimentary elections and controls the Gaza Strip. This is a huge challenge for whoever wins the US presidential election, but it is a nettle which must be grasped. Does Barack Obama have the courage? 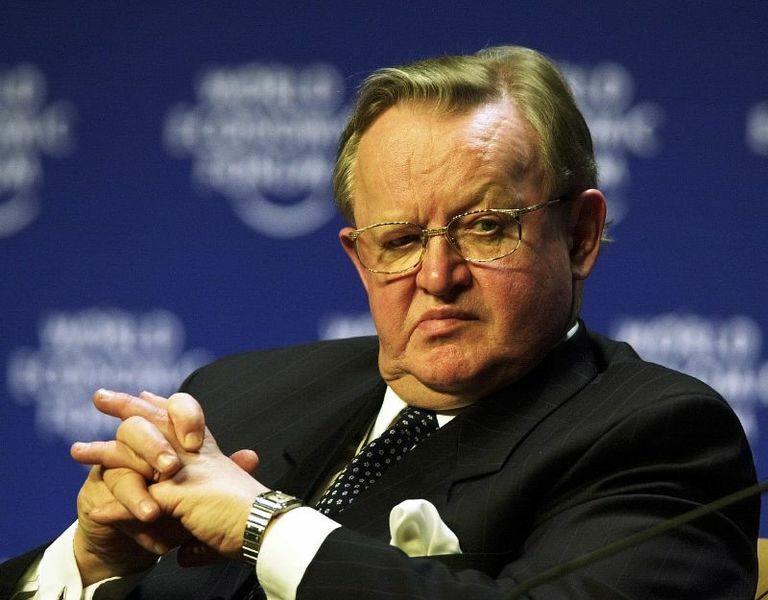 Mr Ahtisaari also said that it may be soon time to talk to the Taliban in Afghanistan as well. This will be an even more controversial suggestion in some quarters given the energy with which NATO is fighting against them. Having followed Afghan affairs closely since 1969, when I first travelled across the country, I am well aware how ghastly the Taliban regime was and was delighted when they were ousted. But anyone who believes that a military victory can be achieved over their insurgency is frankly living in cloud cuckoo land. Animals were the first subject of Art, drawn on the walls of caves in France and North Africa with astonishing vigour. Through them, early men felt they could enter into a new level of communion with the spirit world, as the venerable art critic, painter and writer John Berger reminded us this evening, when he opened an exhibition of animal art from the Meena women of Rajasthan in India at the Rebecca Hossack Art Gallery in Bloomsbury. The Chennai-based publishers, Tara Books, simultaneously launched their beautifully produced, handcrafted volume of the same name (£14.99). John Berger has been supportive of Tara Books’ output for some years now and gave attendees at the private view an inpromptu mini-seminar on the theme of Nurturing Walls. Would one expect less from the author of the seminal work, Ways of Seeing? 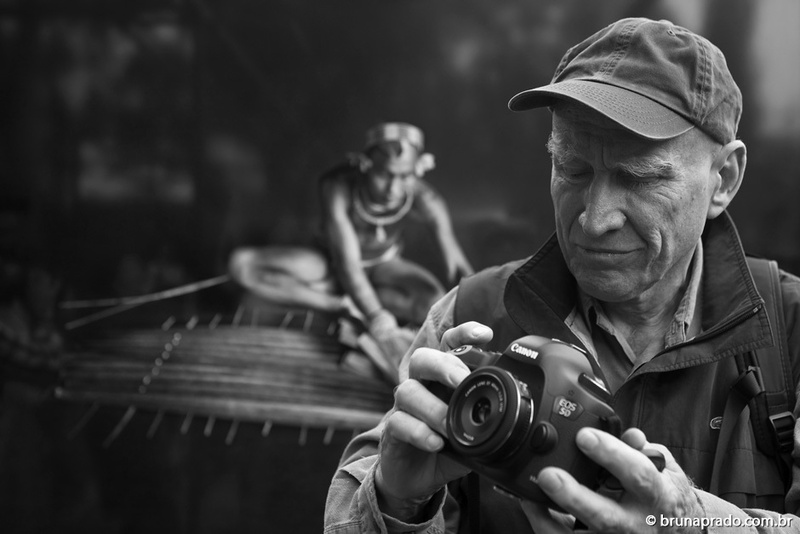 A sprightly octogenarian, Berger has lost none of his radical edge. He lamented how walls which used to be built between countries are now built within communities, to keep rich and poor or different ethnic groups separate, citing Israel’s ‘security fence’ as a flagrant example. Such walls are excluding and threatening. 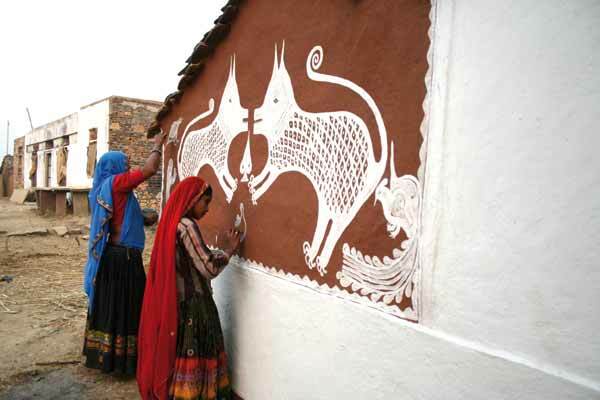 But the walls of the Meena villages in Rajasthan on which the local women paint their animals in white are welcoming, homely and also sometimes comical. The profits from both the book and the exhibition will go to community development projects in Rajasthan. Yesterday I blogged in protest at the Malaysian Foreign Ministry’s writing to various organisations, including the University of Malaya, telling them to withdraw invitations to the Iranian Nobel Peace Prize laureate Shirin Ebadi to speak at a number of events early next month, so as to appease the government of the Islamic Republic of Iran. The satisfying news has now come through that the Malaysian Foreign Minister, Rais Yatim, has rescinded this interdiction, saying that it was an unfortunate mistake that was made without his knowledge. It seems a bit odd, to say the least, that such a major step should have been taken without the Minister’s approval. But anyway I warmly welcome his statement that ‘Malaysia should allow the freedom of expression and criticisms at the highest level’. That is a important declaration of principle, as well as underlining the pragmatic realisation that there is no value keeping the mullahs in Tehran sweet if one damages one’s country’s reputation in much of the rest of the world in the process. 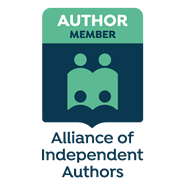 It is worth nothing that most governments are sensitive to overseas public opinion, which is why blogging and the work of campaigning organisations such as Index on Censorship and International PEN are so important. 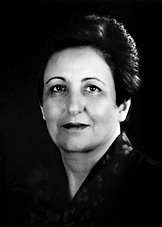 The 2003 Nobel Peace Prize laureate Shirin Ebadi — a distinguished lawyer and Secretary-General of the Human Rights Centre in Iran — was due to give a series of lectures in Malaysia during the first week of November, on the theme of ‘Bridges: Dialogues towards a Culture of Peace’, under the auspices of the Asian Strategy and Leadership Institute, the International Islamic University, the International Peace Foundation and the University of Malaya. But the Malaysian Foreign Ministry has instructed local host organisations that they must withdraw their invitations to her, to ‘preserve good relations with Iran’. This is in total violation of the United Nations Declaration on Human Rights Defenders, adopted by the UN General Assembly in December 1998 and denies the people of Malaysia the chance to hear an important moderate voice in the Islamic world. Earlier this year, Ms Ebadi was the target of death threats and media slander campaigns in Iran, which is maybe not surprising given the nature of the regime in Tehran. But it is inexcusable for the Malaysian government to capitulate to pressure from the Iranian mullahs, thereby undermining Kuala Lumpur’s claims to be a modern, multicultural beacon in Asia.